Sudanese President Omar al-Bashir on Monday acknowledged the "legitimate" demands of anti-government protesters, while blaming several deaths on the actions of political groups. Protests have rocked the east African country since December, with demonstrators calling on the veteran leader to step down. They accuse Bashir's government of mismanaging the country's economy, leading to soaring food prices and regular shortages of fuel and foreign currency. 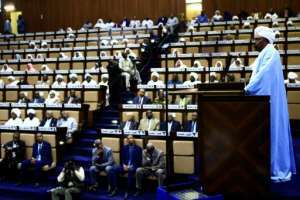 "The economic crisis has impacted a wide section of our people," Bashir told lawmakers in his first speech to parliament since a state of emergency he imposed on February 22 to quell the protests. "Some of them took to the streets to express their legitimate demands, but some of those gatherings used unlawful ways and destroyed properties." Several offices and buildings belonging to Bashir's ruling National Congress Party were set on fire during early protests. "Some political groups are trying to use this to enhance hatred among the community because of which we lost many people," said Bashir, dressed in a traditional white-and-blue robe and white turban. Officials say 31 people have died in protest-related violence so far, while Human Rights Watch has put the death toll at 51 including children and medics. The protests first erupted in the central town of Atbara on December 19 after the government tripled the price of bread. The authorities have set up special courts to investigate violations of the emergency rule, with many protesters jailed for participating in banned rallies. Bashir imposed a year-long state of emergency but lawmakers have cut it to six months. In the inital crackdown on protests, security agents detained hundreds of demonstrators, opposition leaders, activists and journalists. Many of them including senior opposition figures have been released after weeks of detentions. The United States has regularly criticised the detentions. 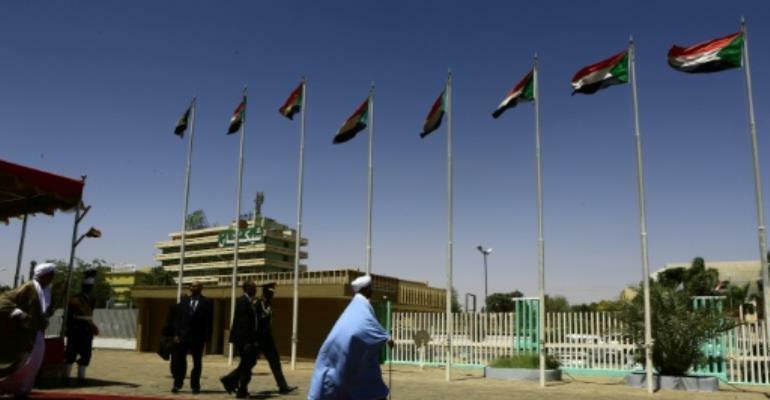 "We remain troubled by the government of Sudan's continued use of extra-judicial detentions in response to the largely peaceful protests in Khartoum and elsewhere," the US embassy in Khartoum said on its Facebook page on Sunday. "Incarcerating opposition party leaders, civil society activists, and journalists contradicts the government of Sudan's call for an open and inclusive dialogue on Sudan's future." On Monday, Bashir adopted a conciliatory tone as he addressed broader issues in Sudan. "I renew our commitment for a permanent ceasefire and express readiness for a dialogue that can lead to peace," he told lawmakers. Since June 2016, Bashir has declared several unilateral ceasefires in Sudan's three conflict zones -- Darfur, South Kordofan and Blue Nile -- where government forces have fought armed rebellions for years. The president has been indicted for war crimes in Darfur by the International Criminal Court, allegations he denies. Bashir launched a national dialogue in 2015 to resolve the insurgencies and overhaul the economy, although most mainstream opposition and armed groups boycotted the talks. "I'm calling on all those political parties who did not join the national dialogue to get involved in it," he said.